It was the landmark 50th anniversary of the NAACP Image Awards when it aired live on Saturday, March 30, 2019.on TV One live from the Dolby Theater in Los Angeles. Hosting the ceremony for the 6th time in a row was actor and funnyman Anthony Anderson. Actor Jussie Smollett, who made recent headlines for being a victim of a hate crime, was a no-show at this year's NAACP Image Awards, and lost to Jesse Williams of "Grey’s Anatomy" as Outstanding Supporting Actor in a Drama Series. Just up ahead, check out the complete list of major 2019 nominees and winners plus additional info, trivia and a bit of history behind the NAACP Image Awards. Now entering its fifth decade, the NAACP Image Awards have recognized the best in African-American achievements in literature & entertainment, with the most anticipated nods usually associated with current popular TV, movie and music categories. While the NAACP Image Awards have traditionally only nominated African-American artists, in recent years the nominees and winners have included such music stars as Justin Timberlake, and other performers popular with black audiences, as well. Most wins ever for Best Drama Series. • The National Association for the Advancement of Colored People was founded in 1909. The NAACP Image Awards ceremony was first presented in 1967, and first nationally televised on the Fox Network in 1994. • Today, the NAACP Image Awards have evolved into “a multi-cultural awards show from an African-American point of view” honoring artists who appeal to multiple ethnicities. • Except for fan voting on the Entertainer of the Year category, voting rights for the Image Awards are restricted to members of the NAACP only. • In the Entertainer of the Year category, Dionne Warwick (1986, 1988) ties with Patti LaBelle (1987, 1993) with two wins each. 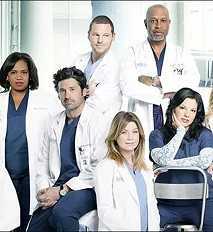 • For Best Drama series, "Grey's Anatomy" currently holds the record for most wins. • The host with the most? Hosting the NAACP Image Awards for record five times is actor Anthony Anderson (2014, 2015, 2016, 2017, 2018) followed by actor and comedian Chris Tucker (2001, 2002, 2005). 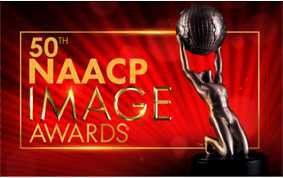 NAACP Image Awards - The official site, featuring nominees and past winners, image gallery, downloadable videos, and a complete three-page history of the Image Awards. NAACP Image Awards - Wikipedia - Complete background, noted controversial nominees, category list, links to related news stories.